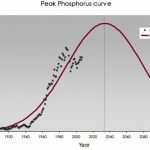 Are we running out of phosphorus? 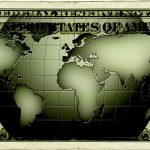 Is Saudi Arabia holding too much US debt? We owe our modern way of life to the high density energy that is found in fossil fuels, and also the many derivatives that are made out of oil (plastics). Everything from the food that we eat to keep us alive (fertilizers, pesticides), to everyday entertainment gizmos like Xboxes, smart gadgets, electric skateboards, etc. is made possible in some part by oil. Let's not forget about the fact that the entire infrastructure around us, buildings, roads, bridges, dams, absolutely everything is in some way made possible, to varying degrees, by oil. With such a big impact on our society we can safely say that we take oil for granted, and that's what this website is going to be about. Wait a minute now, why do you start this text talking about oil when the website name talks about the end of suburbia? Well guess what, suburbia is another thing that is possible and heavily depends on oil. Sprawling networks of neighborhoods that stretch miles and miles from the city center require gasoline for commutes, grocery shopping, grocery delivery and in general access to services that can be only found in the city. Infrastructure needed to support the suburbs is also heavily reliant on oil, for construction, maintenance. Just take a look at this drone captured video footage of the recent Oroville dam crisis. This video captured by a cheap camera drone clearly show us what we wouldn't be able to see from the ground. This is another aspect of our live where drones became useful. These mechanical birds are getting more and more popular. I would not be surprised if they soon start delivering products ordered through amazon, or beers at bars! That's a perfect example of what I'm talking about. Entire infrastructure of the United States, which supports suburban way of life, requires an overhaul, for which massive amounts of energy are going to be required. Energy is what drives us, literally. 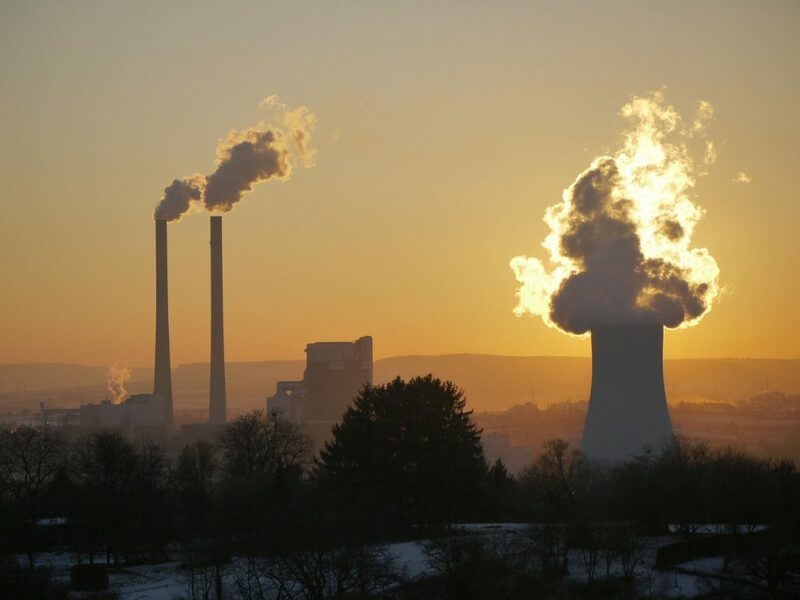 Fossil fuels are energy, although they are also a resource since through processing oil we get things like plastics, fertilizers, pesticides, etc. Without energy lights wouldn't turn on, tech gadgets can't be charged, homes can't be heated in the winter and air conditioned in the summer, cars can't be driven, or manufactured for that matter, you get the picture. All the things that make our modern way of life are in large part possible because of energy. Again have a look at GoPro FPV drone captured footage of the repair efforts on the Oroville dam. Repairs are said to cost close to 5 million dollars per day. Officials talk about costs in millions of dollars, what they should rather be doing is talking about cost in energy units, since energy is what does the work. And that is exactly where the problems start, energy. When talking about energy, just one graph is needed to show the predicament that we're in. 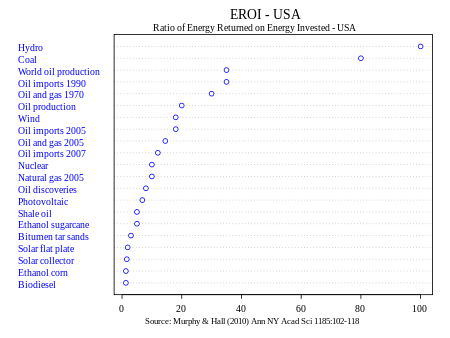 This is a graph that show United States energy returns on energy invested or EROI for short for various different sources of energy. In terms of oil, plainly speaking, EROI is a number that tells us how many barrels of oil are recovered for every barrel of oil that is spent by the oil rigs, machinery, processing, etc. 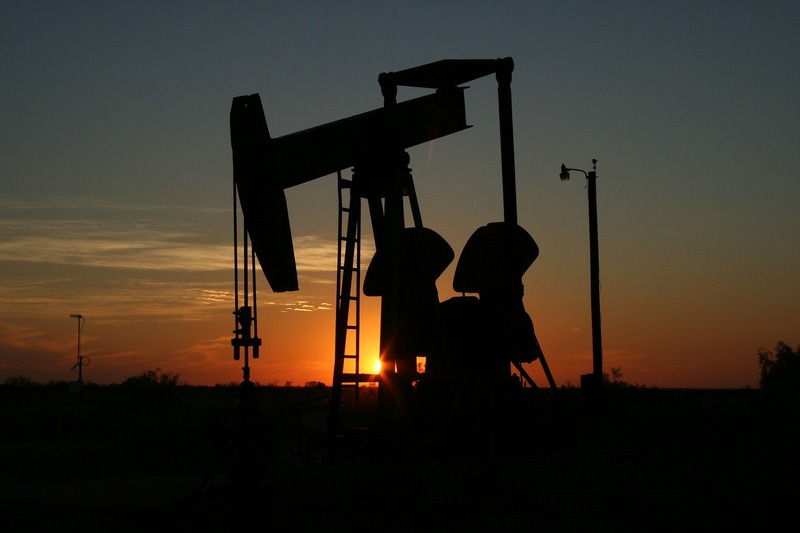 You might have heard it in the news that the United States is currently going through shale oil revolution. Have a look on the graph what kind of EROI shale oil has, only a fraction of what conventional oil has. Same thing is true for the Albertan oil sands in Canada. We really are scrapping the bottom of the barrel when it comes to oil production, a resource of high importance for maintaining our everyday life standard. After energy, the next major hurdle that we face if we are to continue our suburban way of life is resource depletion. We're talking about things like drinkable water, minerals, precious metals and other chemical elements that are vital for everyday life, like phosphorus for example. 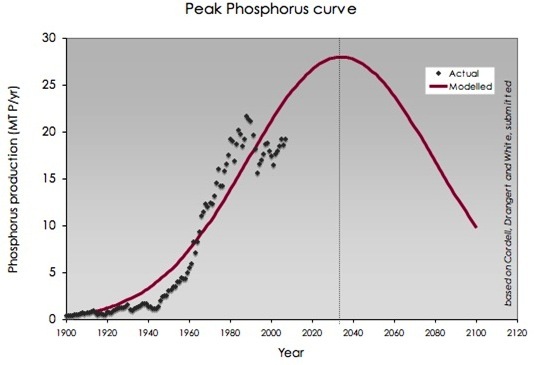 Similarly to the theory that oil production is hitting its upper limits there is also a theory that we are facing a peak in the production of phosphorus. Now you must be thinking why am I mentioning phosphorus, what difference does it make if we no longer have any phosphorus? Well again, just like oil, phosphorus is a very important component of fertilizers which are in turn vital for food production nowadays. Without phosphorus plants like corn, wheat, soybeans, sunflower, potatoes cannot grow. Without corn and wheat there is no meat production. 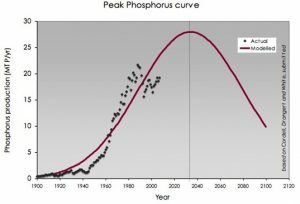 There is no precise number on the amount of phosphorus left in the ground. 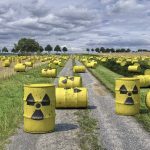 Estimates suggests that there is still somewhere between 50-100 years of this life giving chemical element left in the ground for us to economically extract. Peak would then be somewhere between year 2030 and 2060. That's practically within the lifetime of people living today. Other elements like minerals important for the production of electronics are also very hard to come by. Let's not forget about drinkable water which has already caused us to dam and prevent several rivers from reaching the sea (Jordan, Colorado). Everything for the sake of suburban way of life. Perhaps a better title for this section would be "population" because we're going to be talking about the main driving factor behind such high energy and resource consumption, population. 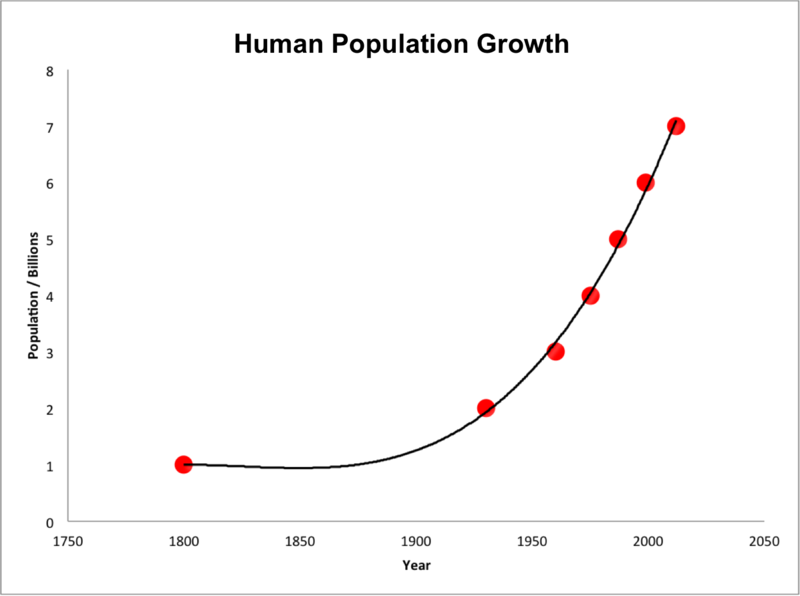 Human population has seen an unprecedneted growth over the last 100 years. We've gone from 1 billion to 7 billion people, adding 1 billion people every 15 years or so. 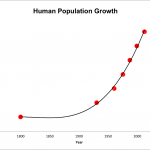 Population growth in and of itself wouldn't be a problem if at the same time we didn't dramatically increase the per capita consumption of energy (in the form of fossil fuels) and resources (water, minerals, chemical element, metals). In other such high population numbers and growth wouldn't be a problem if we all lived like the Amish. Trouble is, very few people choose to live like the Amish, myself included, or should I say excluded. If we are to keep our lavish suburban lifestyles, with huge houses, high energy and resource consumption, we seriously need to consider decreasing the population numbers. Conversely to that, if we are interested in increasing our numbers, we need to seriously consider decreasing our resource consumption. As a consequence of everything that I've talked about until now, environment isn't in such a good shape, it's not in a good shape at all. 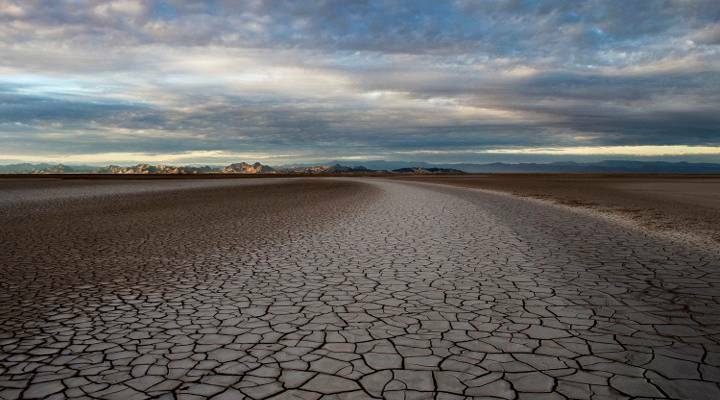 Climate, whether or not you choose to believe it's because of humans, is changing. 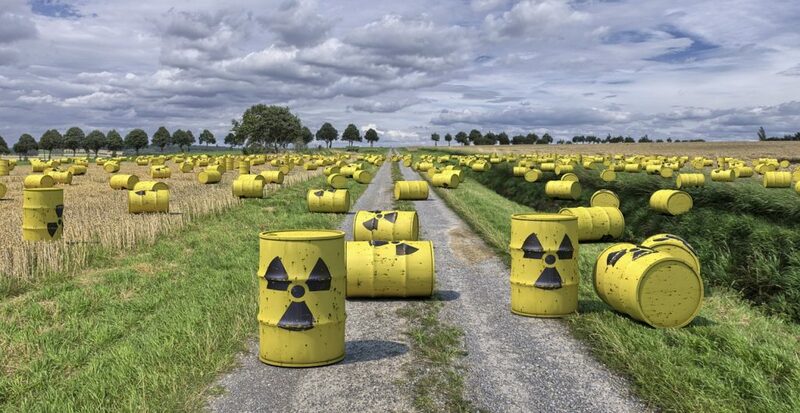 Natural processes that are important for keeping a hospitable environment are being disrupted by either overuse (logging, mining, hunting, fishing, habitat destruction) or contaminated by reckless waste disposal and other types of contamination. True extent of the damage currently being done isn't easy to grasp. 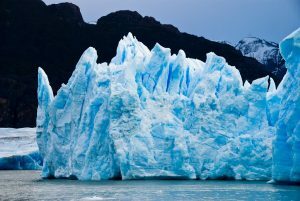 There is a number of factors at play from ocean acidification, polar ice cap and glacier meltdowns, jet stream crossovers and ocean current reversals, temperature rises, etc. All these factors are closely related to each other. Taking one, like for example current temperatures, to the extreme, takes all the others with them as well. And again, if you're thinking, what does ocean acidification has to do with the suburban way of life, let me just say that oceans produce somewhere between 50-85% of the oxygen that we breath. If the oceans turn more acidic, there are going to be consequences for humans everywhere, not just in the suburbs, whether we like it or not. Everything that I talked about up until now is in turn tied to economy. Some people dread to talk about the economy, but it needs to be addressed since it has such a huge role in everyday life. One thing that our economic system relies on at the moment is growth driven by debt. It is this type of economic arrangement that has caused us to end up in such a mess that we're in. Every country is basically in debt to every other country and there is no end to this trend. It seems that debt is the only thing that has been growing, when listening to the news. Most people say, who do we owe this money, to ourselves? Well the thing is, we're borrowing this money from the future. Future energy and resource recovery is what the economists are counting on to return all that debt. It's all complicated to explain in a few paragraphs, expect updates soon where I'll try to explain the current state of the economy a bit better. In the preceding paragraphs I've talked a bit about all the issues and topics that EndOfSuburbia is going to talk about. 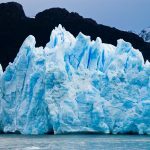 This website will pose as a platform for discussing issues surrounding the current situation with energy, resources, environment, economy and how it relates to our everyday life. Suburban way of life relies on a lot of different factors and it makes sense to be informed and prepared for whatever future has to bring. I hope you'll join us in our quest for a better more sustainable future. 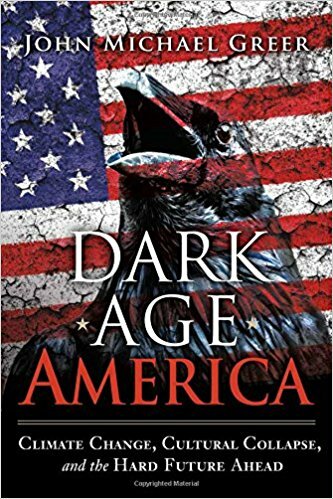 A book by John Micheal Greer that talks in depth about issues like dwindling energy and resources, environmental degradation and economic downturn. Author has a great ability to draw lines with our modern situation with previous societal downfalls. Is population growth to blame for our woes? A website run by Chris Martenson, creator of the famous Crash Course. In the course the author gives a lot of information about all the important issues that humanity faces in the future. There is also a weekly podcast that features experts from a vast range of fields. Here is a lecture about energy made by Ripudaman Malhotra that gives perspective on our current energy use and future energy needs using cubic miles of oil as the standardized energy unit.